In response to this call, we support and participate in missions in our local communities, our country and around the world through the giving of our time, our resources and our prayers. 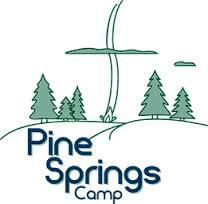 The Mission of Pine Springs Camp is to provide all campers with a vital encounter with Jesus Christ that leads to growth in Christian faith and discipleship. The Alle-Kiski Area HOPE Center, Inc. is an organization of social change – whose mission is the safe elimination of domestic violence through intervention, prevention, and collaboration. Discover a relationship with Christ and His church. Develop their gifts, habits and character. Deploy to serve and lead in their community. Coming alongside indigenous Christians in South Asia to proclaim the gospel in word and in deed to the least and to the lost. Committed to providing individuals and families in Plum Borough with nutritional food and grocery products. Christian Veterinary Mission was founded in 1976 in response to a need in the developing world for training in animal health. For over 35 years, CVM has equipped and encouraged veterinary students and professionals to serve others in the name of Christ by using their veterinary skills.